Here's a little commission I'm sending off today in honor of a 50th birthday. Inside the 50 are things the recipient enjoys and does (like bottling syrup). 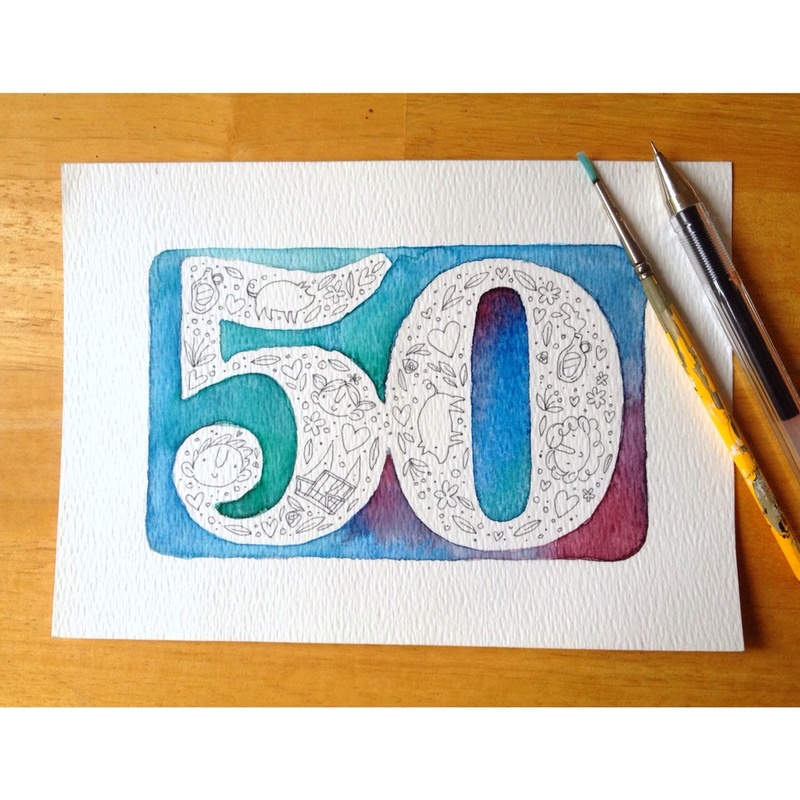 Having only just passed 25 myself, it's hard to imagine what I'll be doing on my 50th birthday. I'd like to think that I'll have my own family, be settled and successful and happy with my life, and the stresses and troubles of the everyday grind will have passed me by and I'll have everything down pat. But somehow I don't think that's quite going to be true. I may have a family and enjoy success in my career, but new problems will arise and old stresses will resurface, and it'll all just be a part of life.